I believe in extremes: always have and always will. I believe we are either all in or all out. There is no middle ground. And so, of the hundreds of clients I have worked with, the ones I think of with the greatest admiration are those who pushed through indescribable adversity because their desire to succeed was always stronger than their urge to quit. That is the reason I created OBSESSION – 100 Day Boot Camp for Optimal Performance. I want to create an environment attractive to only those who are willing to take the greatest risks in order to achieve the greatest returns. I’m not referring to financial risk but rather those willing to expose themselves to the strong possibility of abject failure in order to push through the pain necessary for their goals to become their enduring reality. Finding people willing to talk about what they are going to do is an easy task, finding those willing to actually do it poses a much greater challenge. At age 65 – a time when many are heading towards retirement and year-round golfing, I am setting tougher goals than ever before and pushing myself harder than I ever have. There is an incomparable exhilaration that can only be experienced by knowing you have driven yourself beyond the 110% mark and, regardless of whether this produced the result you wanted or not, you are excited about doing it all again, and pressing even harder, tomorrow. I know there are some of you reading this who share philosophy and are willing to pay whatever price necessary to achieve the results you want in life. If you are one of those, OBSESSION is for you, and we should talk. My only promise to you is this: if you have the courage to go on this journey, you will go through 100 days of extreme effort, with no breaks and few rewards. There will be times you will want to ease off, or even quit, and you won’t be allowed to. 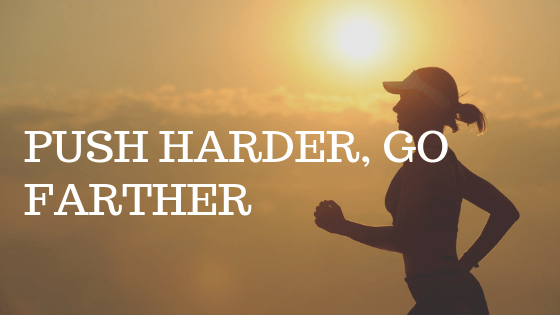 You have only one option: push harder. Great sales pitch, isn’t it? But, after all that, at the end of those hundred days, while your mirror may report that you still look the same, you will be a much different person from when you begin. You will be a person for whom failure is never an option and, because of that, you will enjoy the richness of life that you never dreamed possible. Think of it this way, 100 days will pass regardless of what you do. Where you are at the end of those days will be determined by how you lived during that time. This is not for the faint hearted, it’s for the lion hearted. It is not for those afraid of pain. It is for those who understand that the pleasure we seek is always on the other side of the pain we dread and that the pathway to getting there is through the pain and not by avoiding the pain. ← Life is a game. Learn the rules.